*Add $0.50 each additional color. 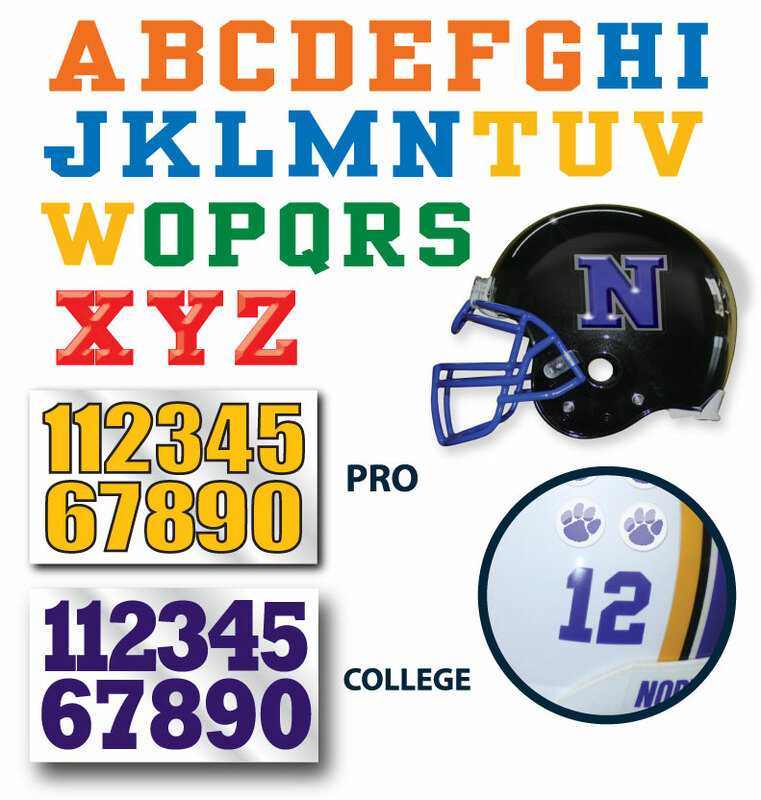 Die-Cut Letter helmet decals are the way to go in place of regular custom helmet decals for a simple look. 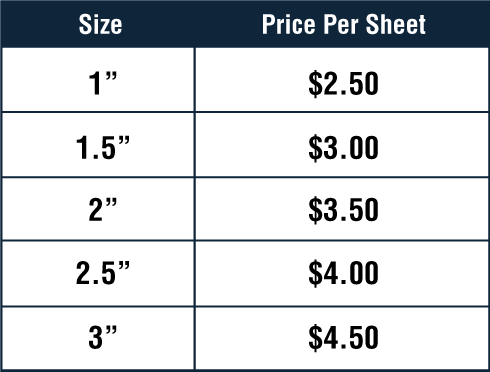 They are availalbe in 3″ or 4″ UNLIMITED COLORS-Solid Colors or 3D Multi-Colors. 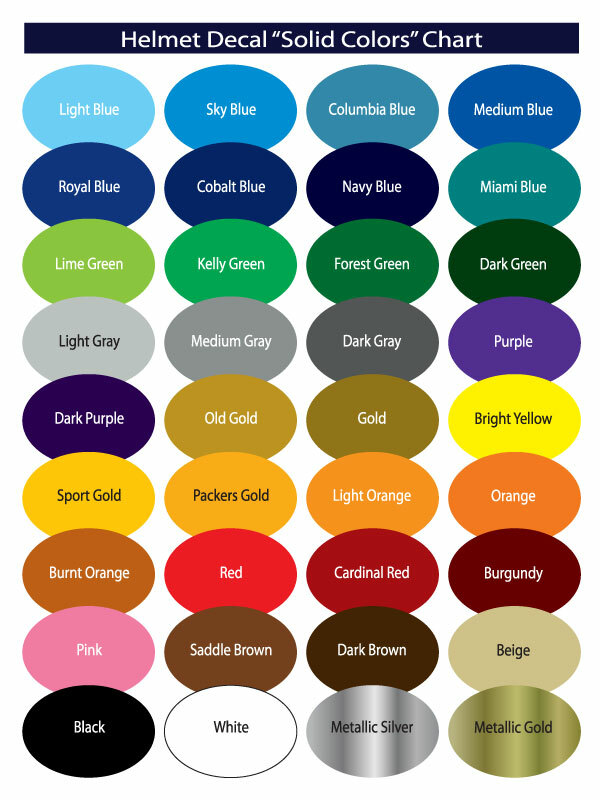 For availalbe solid colors, see the color chart below.